Moments before they were set to deliberate the fate of a Mission man accused of killing a Palmview man over a lost load of drugs, the man’s attorney revealed to jurors that ballistic evidence showed that two guns were used in the shooting. “Why didn’t they tell you about the other bullet; the other gun?” defense attorney O. Rene Flores asked during his closing argument Thursday afternoon. 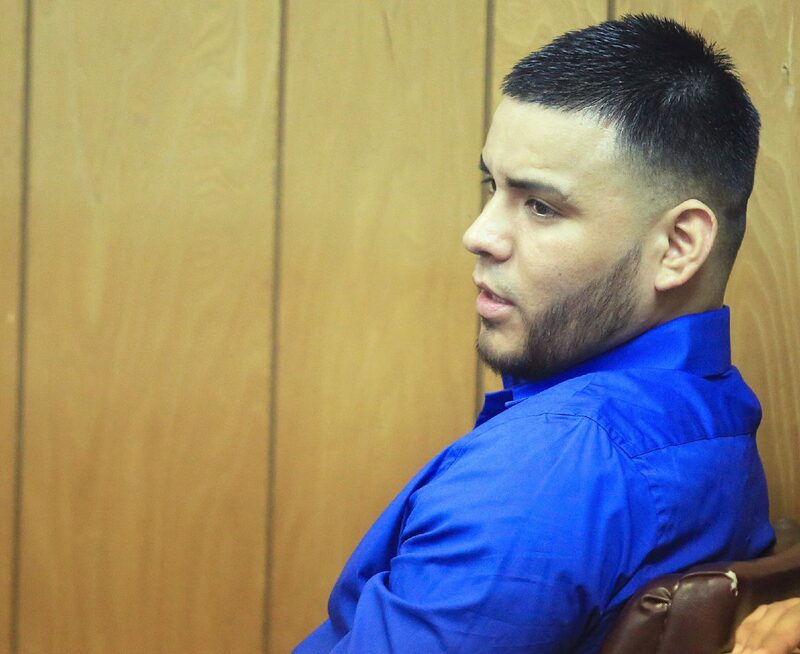 Flores represents Juan Carlos Lara, a 31-year-old Mission man accused of shooting and killing Jaime Ramos, 24, of Palmview in mid-January of 2015 after a load of marijuana Ramos was transporting was seized at the checkpoint, prosecutors said. “The two bullets that were recovered from his body belonged to one gun,” Flores said. During his closing, Flores said another bullet, a third bullet, was recovered from inside the travel trailer where Ramos’ lived with his wife and two young children. The state, during their chance to give their summary statement, did not address the third bullet and the second gun; instead they focused on Ramos’ wife, Maria Muñoz. Muñoz testified that she did not know the man who entered her home and shot her husband. She said she “figured” it was him because her husband had told her of the threatening calls and messages from a man named “Plomo,” a nickname Lara was known to go by, he had received. Prosecutors allege Lara shot Ramos at around 4 p.m. on Jan. 15, 2015, while he sat inside a travel trailer with his wife. The trailer was located behind a residence in the 600 block of Ricardo Avenue in Palmview. Assistant District Attorney Roxanne Salinas argued that although the evidence collected by Palmview Police did not necessarily link Lara to the crime scene, the eyewitness account from Muñoz was more than enough to prove Lara shot her husband. The lead detective in the murder case testified they had no evidence linking him to the shooting. That revelation came on Wednesday during testimony by Palmview Police department Detective Suehay Alejandro who was assigned as the lead detective in the shooting death of Jaime Ramos. Alejandro testified that none of the pieces of evidence recovered from the crime scene that she sent for lab analysis, which included bullet casings, at least one projectile that was removed from Ramos’ body, a gun recovered from Lara’s girlfriend’s home, and items recovered from his vehicle, did not lead back to Lara. Along with this fact, the state has had a few setbacks during the trial. 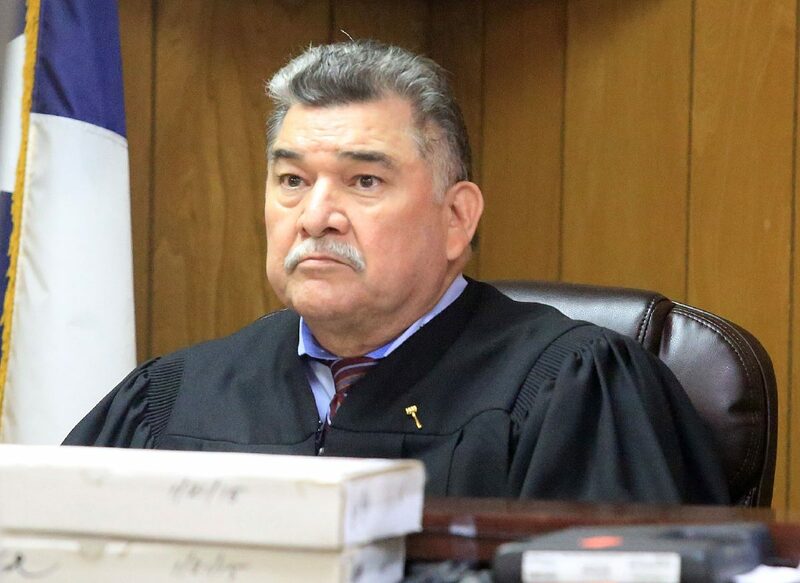 Visiting District Judge Robert Garza denied two motions by the state to allow into the record evidence that would support the state’s allegation against Lara — a statement he gave the day he surrendered to authorities Jan. 23, 2015, and video footage believed to show Lara’s vehicle driving away from the scene around the time of the shooting. In the first instance, on Tuesday, during the first day of testimony, the state attempted to introduce the video footage from a neighbor’s home that the state purports shows a dark in color low-profile Chevy pickup believed to be Lara’s, drive away from the vicinity of the scene. But due to a technical issue in which the file of the footage, which was saved on a USB flash drive, was unable to be played, the state was unable to submit it during the discovery phase of the case. Garza, who reminded the state they’ve had two years to prepare for the case, denied its admittance to the record. On Wednesday the prosecution was once again denied, after the defense argued, and the Garza agreed, that a statement Lara gave was inadmissible because it was obtained even though Lara was unaware that he had waived his Miranda Rights. Alejandro and another other Palmview officer, Ezequiel Jurado, testified outside the presence of jurors in an attempt to clarify how they went about informing the 31-year-old of his Miranda rights. The defense argued that despite the warning the officers read to Lara, their client was still unclear about what his rights actually were and therefore should have discontinued the interrogation process. Alejandro testified she did not know Jurado had read Lara his rights before she took his statement about two hours later, and said that if she would have known that fact, she would have proceeded differently. Flores underscored once again the state’s lack of evidence against his client. “They don’t have fingerprints, DNA, forensic or biological evidence,” Flores said. Police interviewed several people immediately following the shooting, including neighbors, friends of Ramos, his wife, to name a few. 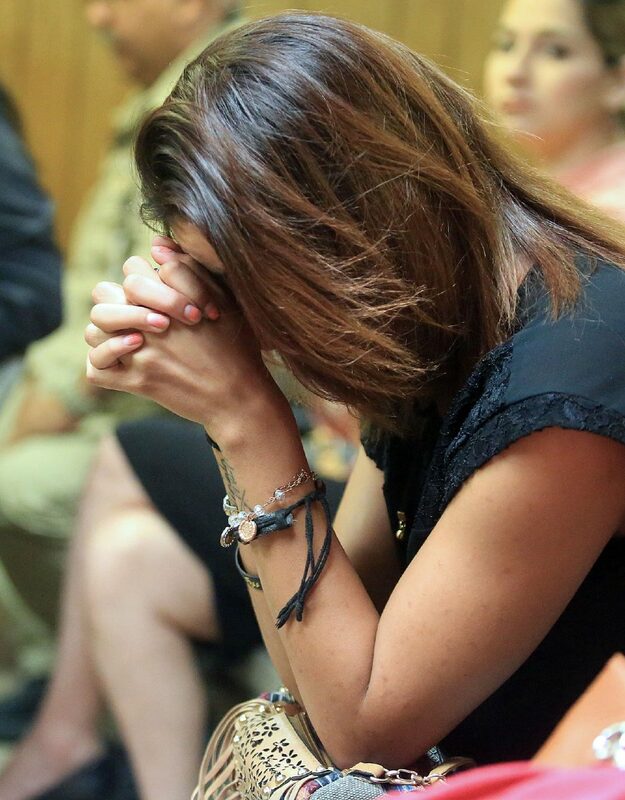 Ramos’ wife, several law enforcement officers from both Palmview Police and the sheriff’s office, neighbors, and friends, testified during in the trial. The state, in light of the setbacks, brought to the stand Ramos’ wife, and other eyewitnesses who testified that a man known as “Plomo” shot Ramos. The state has relied heavily on testimony from these eyewitnesses, including Alyssa Lopez, a neighbor who claimed she saw Lara, who she only knew as “Plomo,” leave the scene shortly after the shooting that day. Also to the state’s advantage is the fact that Lara, in the days following the shooting, fled to Reynosa, only to return days later and surrender to police. Lopez, who lived in her parent’s home with Lara, gave authorities permission to search the home where they found a gun inside a safe inside the master bedroom. That gun, a Walther PK380 pistol, did not come back as a match to the casings found at the scene, or the projectile extracted from Ramos. Jurors deliberated for about 30 minutes before Garza released them for the day — deliberations resume this morning. Jurors are tasked with determining whether or not they should find Lara guilty in the shooting death of Ramos. If convicted of murder, Lara faces up to life in prison.